Earlier this year on a cool Arkansas morning, I was driving north toward the airport in Branson, Missouri. At 6:00 on a Sunday there were few cars on the road and I was enjoying the scenery. As I approached Rogers, Arkansas, I noticed what I first thought was smoke coming from a fire, and my first thought was, “How nice to be cuddled up next to a fireplace on a morning like this!” Just a few seconds later I realized that this was no ordinary plume of black smoke coming from a chimney but a full-on attic fire. Quickly, I pulled over to the side of the road and dialed 911. The call was answered on the second ring and I described what I saw. I described my location and gave the nearest exit number, but after conferring with others in her office, the 911 operator informed me that she would have to transfer me to the Bentonville 911 operator. Incredibly, I didn’t see a single person outside the home or along the street. It was 6:20 or so by this time, and whoever was in that house was still sleeping. Really?? Three 911 operators and there was still not a single fire truck on its way! By this time, orange flames had punched numerous holes through the roof of that house, and it’s doubtful it could have been saved. Amazingly, not a single neighbor had come outside after smelling the smoke although the house was on a residential street facing the highway. Around 6:30, I got back on the road, thoroughly frustrated. Here’s the clincher: just a few hundred yards north of where I had parked and observed the burning house, I noticed a large tan building on the left side of the road with a sign that read, “City of Rogers Fire Station.” If the firefighters inside that building had been alerted and had just stepped outside, they would have seen the same black smoke that I witnessed. I have no idea what happened to that house or whether or not anyone was inside. Does your home have enough smoke alarms and are the batteries charged? Make sure you have enough alarms installed throughout your home. Gather the kids around a smoke alarm and activate the test button. They should know what the alarm sounds like and understand that it’s set off by a sensor that can detect smoke. Spending some time around a fewsafe campfires will teach kids what smoke smells like. This is a good opportunity to chat for a couple of minutes about smoke being a sign of a house fire. “Where there’s smoke there’s fire,” isn’t just an idiom. It’s a good safety rule. Kids need to understand that smoke presents the most urgent danger. Most fire deaths are a result of smoke inhalation, not burns. They should understand that smoke rises and the freshest air will be close to the floor. Every member of your family should know how to get outside from every room of the house. Do the kids know how to unlatch and open every window? Do they know to get out immediately from whatever room they happen to be in? Review a fire exit plan in a family meeting. Everyone should practice opening windows and even crawling to an exit. If the kids are willing, blindfold them for a more realistic experience. If a family member is disabled or very young, assign an older child or adult to help them in both a fire drill and in evacuating in case of a fire. Establish a single meeting place outdoors. If there isn’t a chance to call 911 from inside your home, assign someone ahead of time to make the call either from a cell phone, if they have it with them, or from a neighbor’s house. It will be a child’s natural instinct to want to rescue a family member, a pet, or a beloved toy. Impress upon them that once they are out of a burning building, they are to never go back inside no matter what. If you can safely rescue your pet(s), don’t leave them behind! I have heard that dogs will bolt when frightened, but cats will hide. If you know your cat’s favorite hiding places, check them out if there’s time before you evacuate. Include pet evacuations in your fire drills. Call your nearest fire house and ask about pet rescue stickers for windows. Sometimes they’re available for free. Have your emergency kits, aka Bug Out Bags, packed and ready near a convenient exterior door. Depending on circumstances, you may not be able to access them, but it’s better to have them ready to go than leave a burning house with nothing but the clothes on your back. Prepare in advance for a house fire by gathering together important papers and storing them either in a fireproof safe or in another secure location. I do not recommend the use of safe deposit boxes, ever. Visit the website of National Fire Protection Association for more tips and downloads. I was worried about the family living in that burning house and several days later I contacted the Rogers Fire Department. I was told that I had to file a Freedom of Information Act request before I could be told whether or not there had been a house fire that day! One reason these plans and precautions are important is because towns and cities of every size are experiencing major budget crunches. Some have made the decision to charge homeowners for the services of a fire department! Budget woes are only going to get worse and first responders may not be as readily available as they are now. 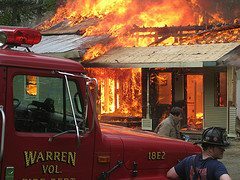 In addition to other survival scenarios that you’ve planned for, be sure to include the ordinary, but deadly and devastating, house fire. How scary and frustrating! The lack of concern for human life is astounding! Unfortunately your tale is an excellent reminder that even now we can’t always rely on someone else to help us. I’ll have to look at my assumptions for various government organizations coming to the rescue. One of the first things I bought after beginning prepping was a fire ladder. I know it is an unusual item, but I’m on the 3rd story, and I only have one door out of my apartment. If that is blocked by fire or rubble, I needed a way out. It didn’t cost much (around $50), but it took my pulling my head out of the sand to realize just how important it is. I was raised with a Dad who was a volunteer fireman who believed and taught us it wasn’t IF your house burned down, it was WHEN. About once a quarter for many years now with my own kids, we do a surprise fire drill. I have woken the kids up from a dead sleep in the early morning hours yelling very loudly… FIRE DRILL! FIRE DRILL! We walk through every step… feel the door… we tell them if it is hot or cold… if it’s hot they unlatch their window, pop out the screen and crawl out… if it’s cold they belly crawl all the way to the door. (Though recently I’ve just told them… go out the window and don’t even risk trying to make it through the house.) For children and adults alike, it is not enough to just talk about what you would do in an emergency. For most people, their instinct is to freeze. The last thing you want to do in an emergency is “figure it out.” If you’ve actually done it before, you are much more likely to successfully do it when you really need to. Talk about it, practice it, DRILL it. 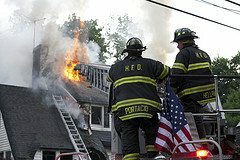 As a retired news photographer in a major city, I have rolled in on many structure fires. People are seldom prepared for a fire. Although I live four blocks from a fire station, the may be out on another call. Everyone should make plans to take care of their own family and property untill help arrives. Example; I have a fire extinguisher in each room, 2 in garage & one on the patio. These are commercial grade. A 75 0r 100 foot hose attached to each outside hose bib with a firehose type nozzle. And most important a smoke alarm in every bedroom and hallway. Thank you for posting about this and your checklist. Normally I never respond to comments on a post but this time I must. I am a 911 dispatcher for going on 8 years now. My husband is a volunteer firefighter for almost 15 years. my brother in law is also and my sister is a police officer/ investigator. I believe I’m qualified to comment on this matter. Tammy, this has nothing to do with not caring. Sometimes a 911 call from a cell phone goes to the closest tower which unfortunately may be in another county. Sometimes, a dispatcher may not be familiar with a location in another county which would explain the transfer three times. Also, many fire departments all over the country are volunteer. Many local governments do not have the funds to establish full time fire depts all over their county. Volunteer firefighters do it because they care and dont get paid. I receive so many 911 calls with people screaming and begging for help and we do everything possible to get help as quickly as possible. To BOB,,,, if that were my house burning,,, if I lost loved ones in that very fire,,, I still would not say such a terrible thing as what you posted. Many people panic in an emergency and maybe she did. Maybe in that panic she didn’t even think of it. At least she called for help. YOU SHOULD BE ASHAMED FOR SAYING SOMETHING LIKE THAT TO ANYONE!!! Ask any firefighter thats had to find or remove a burned body from a fire if they would ever wish something like that on anyone. Go ahead and ask one, you will get knocked flat on your _________!!! Thanks for the insights, Brenda. I deleted Bob’s comment since it was so incendiary! I was parked on a multi-lane highway in a state and area I was completely unfamiliar with. Even if I had gone to the next exit, I didn’t know how to actually access the house. I thought about it but honestly thought that firefighters who had maps, GPS, and knew the area would find the location far more quickly than I. Bob is a jerk. My eldest is a worrier. Thanks to living in SoCal and seeing too many wild fires too close to home, fires have been a particular fear. Each of our bedrooms – including the rarely-used guest bedrooms – have a fire escape ladder. We have special smoke detectors with my recorded voice giving escape instructions instead of just a tone, so the kids have less to remember. The kitchen and garage have fire extinguishers. The kitchen has a small (stove size) fire blanket to extinguish small kitchen fires even faster. The master bedroom also has a fire safety blanket one of us can use to get to the kids – their bedroom is adjoining, not through a hallway – and / or to get out more safely if the floor BELOW us is engulfed in flames. Fire safety ladder come in at least two sizes. One suitable for second floor rooms. One for third floor rooms. I don’t know about higher levels. Unfortunately my hubby and I have had the same experience of driving by a house that was on fire. Luckily for the home owner (who was in the house with her two kids and did not know the back part of her house was on fire), my husband and I were able to get to the house and once we pulled over, he jumped out and grabbed the hose that was already attached to the bib and I ran to go and alert her. By the time the fire truck got there (they were there within 2 minutes of my call), the fire was already out because my husband and I knew how to put out fires (growing up the country, you don’t always have time to wait when fire depts are spread out geographically and are almost all volunteer). A little smokey clothes and singed shoes (some embers fell on his feet) were worth knowing that the family was safe and the house only had a little damage to the exterior (and lost part of their wood privacy fence and some trash cans where the fire started). Fire Safety is very important to both of us and we try to make sure that we and our neighbors (we live in a condo complex) are ready and know basic fire fighting skills (such as how to put out a stove fire, use a fire extinguisher, etc). In the end it is not about saving things but saving lives (and if you can save things, that is a bonus). If you can, hard-wire your smoke/heat/co detectors. Why we would trust something this important to battery power I will never understand. Ours are hardwired, but still have batteries. I bit of a pain, because if the battery dies, it sets the alarm off (usually in the middle of the night, of course). 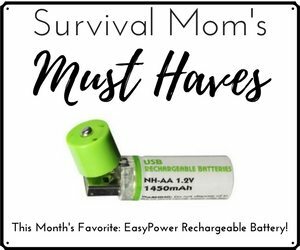 But it is important to have batteries so they will still work if your power goes out. There are many areas of the country that still have issues with the 911 system when called from a cell phone. This is being worked and should be resolved within a couple of years. 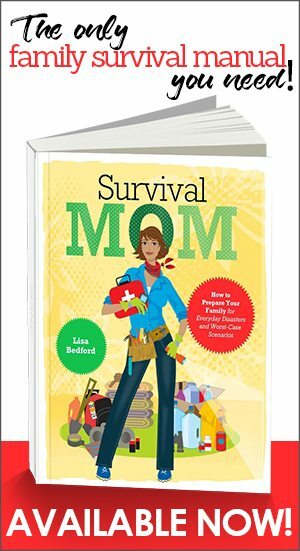 I have been “mentally” prepping for years -(learning skills I thought would be useful in a SHTF scenario), but have just recently begun to gather supplies. My first step into my “mental” preps was to join my local volunteer fire dept. 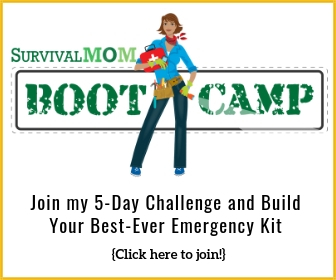 I would reccomend it to anyone who is a serious prepper. I have recieved free medical training (ceritified first responder – now working on my EMT-B), and an opportunity to gain invaluable experience working in the field on actual trauma cases. Plus you get to network with other volunteers who live in your area and come from all walks of life. Since becoming a firefighter seven years ago, I have only responded to 4 actual structure fires. The bulk of our calls are vehicle accidents / medical calls to people’s homes. And it only occupys a few hours a week of my time plus the occasional Saturday for training. I could go on and on about the benifits, but I will just say this – If the fire protection district where you live has a volunteer dept. – Attend one of their meetings – they are open to the public. You may just find what has been missing from your preps! That is shocking to me! Maybe it shouldn’t be, but wow. How scary! I can’t believe no one had more concern for the situation! We have a fire ladder in each room and do regular drills, but it scares me to think that such a thing could be slept through until it was too late! Fortunately, I now live in a single story house, so it is out the door or window rather easily. But when I had a “hillside” house: level going into the house-the back bedroom windows were 26 feet off the ground!-I made sure that one of my first purchases was a fire ladder for each bedroom. They do a lot for your peace of mind. We had one of those early morning fires. At 4:30 am my husband was getting ready for work and he heard a loud bang. Then he smelled the smoke. Had it been his day off, things could have been much worse. He woke me and the 2 kids and we exited the house to find an inverted corner of the house ablaze. It was just that fast. My husband and I jumped into action, while one kid called 911, the other put our 2 small dogs in the car. I started with the hose, he ran and turned off the propane tank. Apparently, a lightening strike hit a ladder next to the house (so we figured cause the top 2-3 feet of the ladder was completely gone!). The house caught fire up the wall, to the diagonal eaves and raced upwards, burning through the wall and into the attic. Even though the electricity eventually quit (burned wiring) and we could no longer pump water from the well, we had a well bucket for the old well at the other end of the house. (BTW–that bucket stays near the well, with enough rope attached to drop it in and the other end is tied to a tree branch above) The girls repeatedly dropped and hauled water to me and we managed to put out the fire down below. But I couldn’t see from my position that it had raced up the eaves and was now in the attic. When my husband opened the attic door (bad idea) it flashed over and he immediately closed it again. I honestly don’t know how, other than my husband’s urgent prayers, but that fire died out…lack of enough oxygen perhaps…but surely a miracle. He thought the house was a goner. I still had no idea. About that time, the vol. fire dept arrived (one guy on a truck) and proceeded to soak our house. More help arrived later. Amazingly, other smoke damage, fire damage was restricted to that outside corner and eaves and 15ft of attic space. The double pane porch window broke on the outside, only cracked the inner panes, so no fire got in that way. Only one interior corner of the porch showed evidence of a fire—some heavy smoke damage where the worst of the fire was and that window. We were so lucky! No, we were blessed! When the firefighters were there and everything had calmed down a bit, we entered the other end of the house and collected some files, photos (all my photos–other than on the walls–are kept in one place for this very reason), laptop and hard drives, purses and wallets, and a change of clothes (obviously we were all in our PJs) and loaded it all in the car. Shoes by the bed, always. We turned off the gas! Where the fire started is right near where the propane pipe comes in the house. Kids and pets—out, safe and secure. Don’t need to be worrying where the dogs went to. Cordless phone–grab and run. Our cell phones don’t work here in the boonies. Family photos/albums all together. Boxed and ready to go, no thinking or searching necessary. Laptop and hard drives easy enough to grab. Forget the huge desktop—back it up on a portable HD. All important information in color coded files, altogether. Open the drawer, grab and go. Needless to say, we did not stop for the last three items. We collected them later. But in an emergency other than a house fire (or eminent tornado) with four of us, we could have done everything in 10 minutes or less. Fire badddddddddddd…well truth be told its tough to be ready for EVERYTHING but you cant hurt trying. 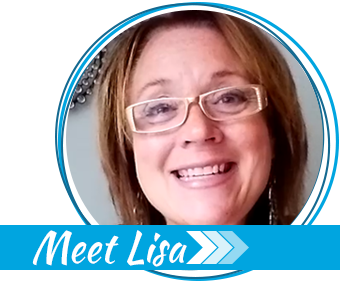 Good article Lisa.